Berchem (Antwepen) Communal Cemetery is located south of the town of Antwerpen on the N173. Coming from Gent on the E17 go through the Kennedy Tunnel and turn off at junction 5 Antwerpen J van Rijswijk. Turn left at the T junction towards Antwerpen,at the next large junction (roundabout?) turn right. Follow this road to the next junction and turn right again onto the N1 Grotesteenweg.Go over the bridge and turn right again on the N173 Elizabethlaan,the cemetery is on the right. 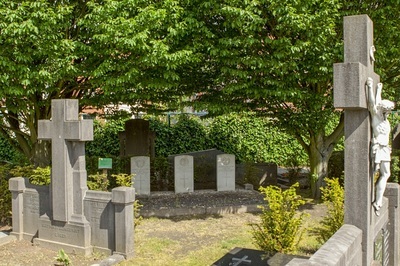 Drive along the side of the cemetery then turn right into Floralienlaan where parking can be found. 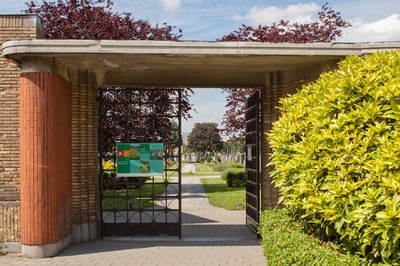 Enter the cemetery by the main entrance which is at the junction of Floralienlaan and Elisabethlaan. On entering the cemetery follow the right hand of the three paths. After the 5th intersection of paths the plot (31) containing the war graves will be found on the left. 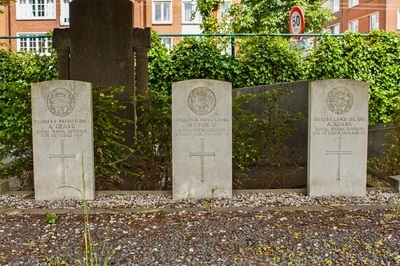 The war graves are in the middle of the plot. Berchem (Antwerpen) Communal Cemetery contains three Commonwealth burials of the First World War, those of three marines who died in the defence of Antwerp. 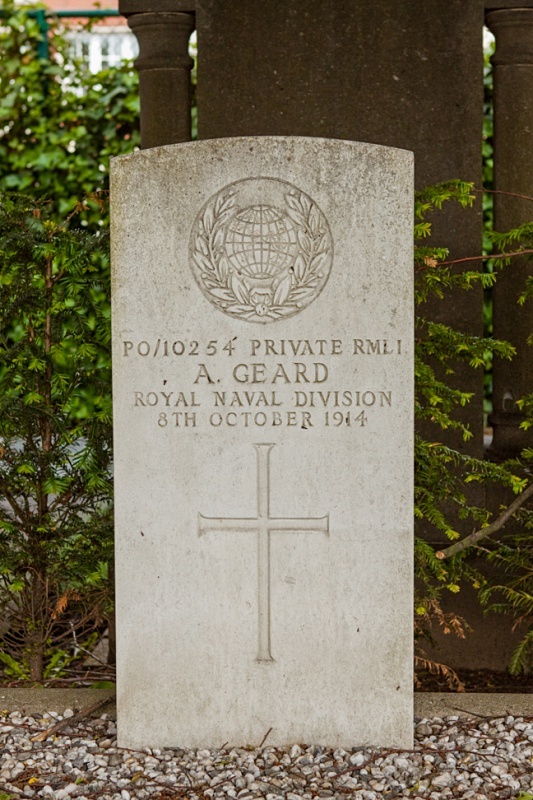 CH/5285 Lance Corporal Arthur Adams, (RMR/B/420). Chatham Bn. R.N. Div., Royal Marine Light Infantry, died 8th October 1914, aged 42. 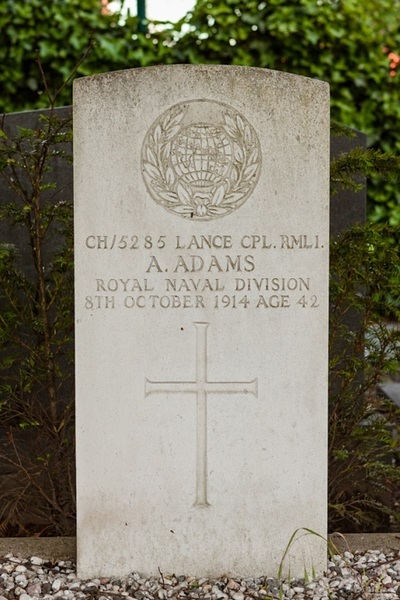 Son of Richard and Mary Adams; husband of Mary Jane Adams, of Burton Rd., Repton, Derby. 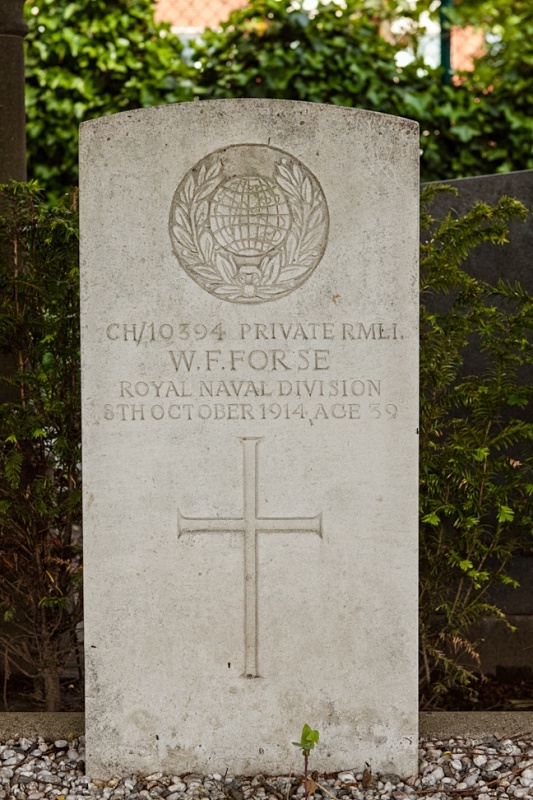 CH/10394 Private William Frederick Forse, (RMR/B/1221). Chatham Bn. R.N. Div., Royal Marine Light Infantry, died 8th October 1914, aged 39. Son of William Fredk. and Mary Forse, of Clapham, London; husband of Sophia Frances Forse, of 49, Campbell Rd., Twickenham, Middx. PO/10254 Private A. Geard, (RFR/B/735). Portsmouth Bn. R.N. Div., Royal Marine Light Infantry, died 8th October 1914.